If you are seeking an ideal gateway for your weekend to escape from the hustling and bustling atmosphere of crowded cities, I want to suggest you a perfect site that you can spend your time and enjoy the tranquility as well as experience the peaceful moments to live in the middle of nature. 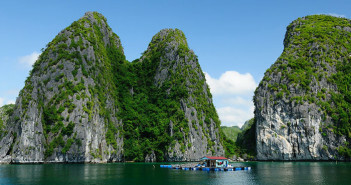 Cai Chien is a beautiful island located in Hai Ha District, Mong Cai City, Quang Ninh Province, which is approximately 330 kilometers away from Hanoi. 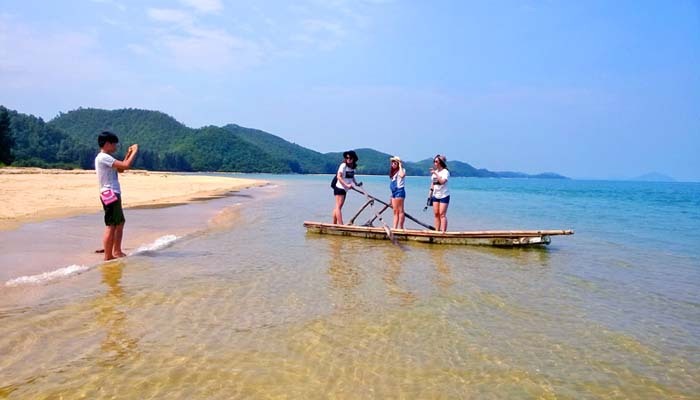 The thing that makes Cai Chien Island become of the most ideal place for your weekend is that it is a deserted pristine island with endless expanses of white sandy beaches coupled with soaring mountains surrounding. A bit further is uninterrupted green casuarina line, giving a green space with and refreshingly cool weather. Spreading over an area of around 500 hectares of lust and primeval forests, Cai Chien Island is the home to a variety of rare and precious animals and species. 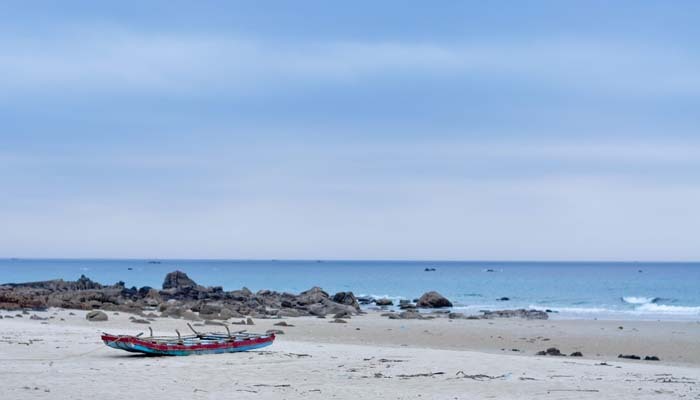 The easiest and quickest way to approach this beautiful island is to move to the Hai Ha port which is 40 to 50 kilometers away from the city center of Mong Cai. Also, a means of transportation you can use to travel is motorbike. When riding motorbike, you can park at the port and then move to Cai Chien Island by boat, which takes you just about 30 to 40 minutes. If you want to save your time, canoeing or motorboat are among the best optimal choices. What does Cai Chien Island offer? In the past, Cai Chien roads used to be full of rock, but now it has been considerably renovated to become concrete roads. This makes it much easier for both local people and visitors to get access. At the contemporary time, Cai Chien has changed that much with the appearance of such convenient services as electric cars and tuk tuk to serve locals and those who pay a visit to the island. The prices for these services are affordable or even cheaper compared with same services on other touristy islands. Unlike other tourist destinations, Cai Chien Island currently has just 1,000 households more or less living on the island. Although there exist catering services and accommodations for visitors, they are still of limited quantity. And the major type of accommodations on Cai Chien Island is mostly homestay with reasonable price, but still meets your needs and demands with full equipment and furnishings. Why I fell in love with Cai Chien Island? 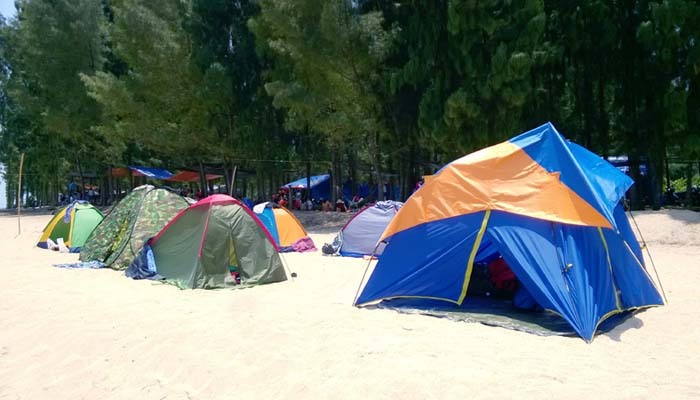 Make my own way to Cai Chien Island, one of the most exciting things to explore this mysterious and pristine island is camping. The unspoiled beauty of the island is definitely suitable for a night camping right on the coast. You are advised to carry with your own foods and drinks. Or another interesting suggestion is to go camping with a group of friends, then a BBQ party on the island will be a lot of fun. For sure, you can create a lot of unforgettable memories, thereby making your trip a great and adventurous experience than ever. This small pristine island is such a perfect place to live close to nature. It cannot be denied that a day exploring Cai Chien Island will offer you most memorable experience. 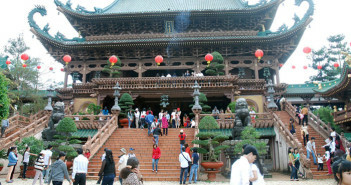 Enjoy your time on CaI Chien Island!